(Serial No. 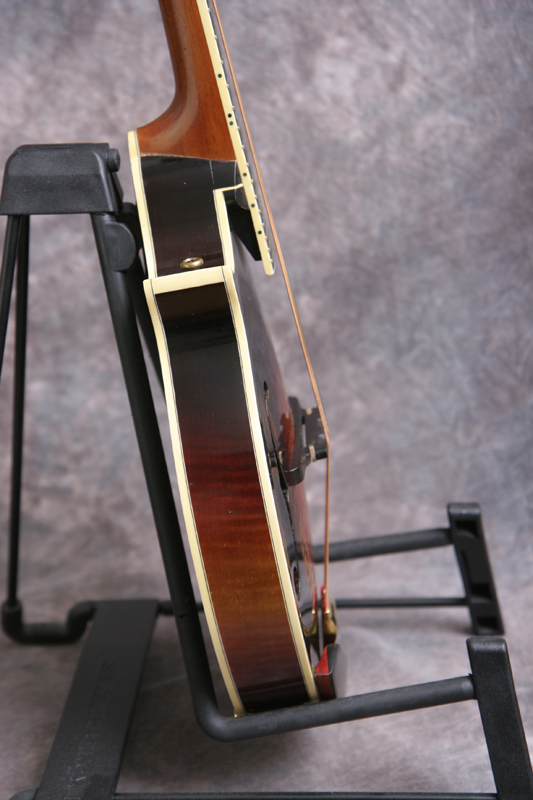 3606) Near mint condition, dark red brown sunburst finish. 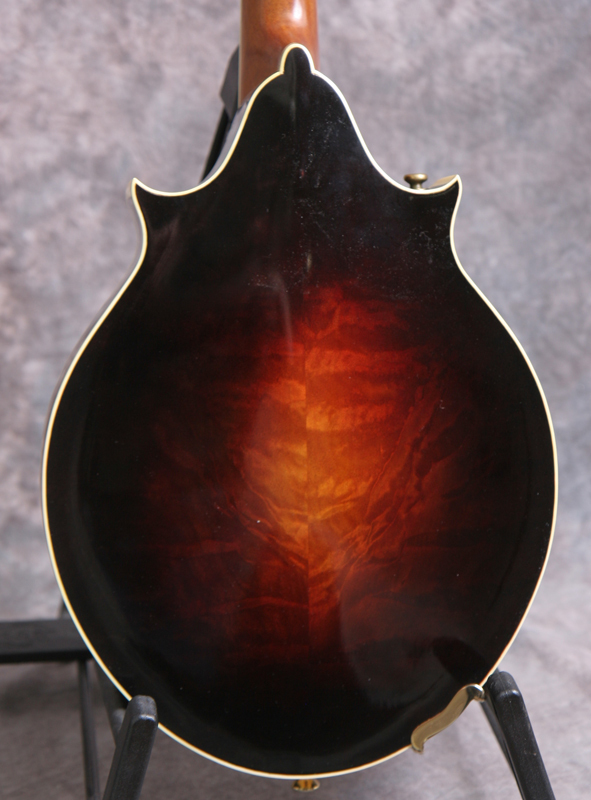 This instrument was built by luthier Darren Craig in Hood River, Oregon. 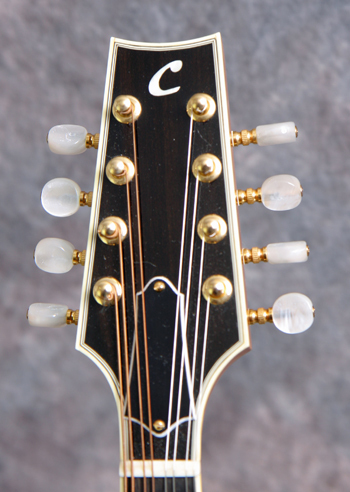 This is a two point A style with a hand-carved red spruce top, figured solid maple maple back and sides, 1 1/8 inch pearl nut, and a radiused and bound ebony fretboard. 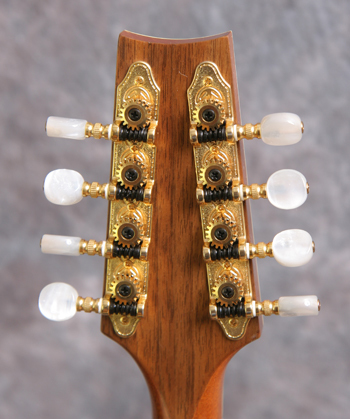 The fretboard is abbreviated to eliminate pick click and to allow you to play in the sweet spot. Has an ebony bridge. 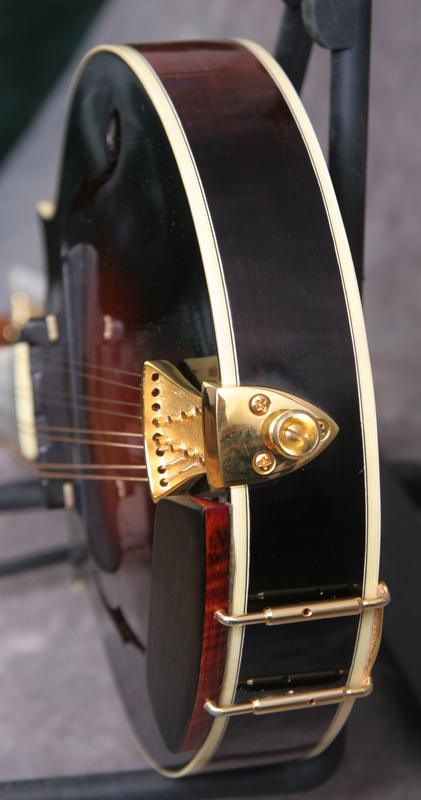 The peghead has a pearl logo, gold Schaller tuners and a Monteleone style one-piece tailpiece, and an ebony McClung armrest. Just set up by luthier Jerry Ray so it plays very well. 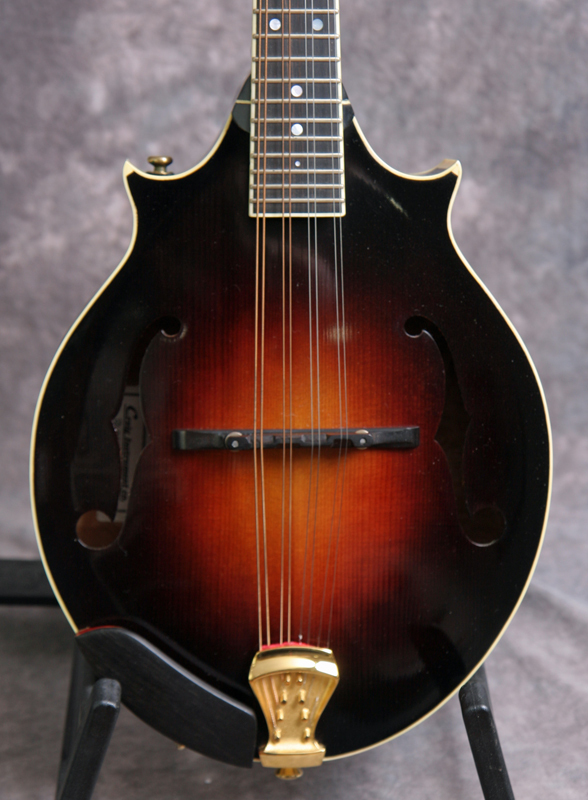 Excellent sounding mandolin with strong volume and tone. Good bluegrass chop when needed. Comes with the original hardshell case.